On November 3, Murphy Racing went to Ipswich with Stellarcraft in great order. Last preparation this horse could not draw a barrier and this run he was a bit the same when drawing second from the outside. Stellarcraft first up in a heat of the Cannonball Series Benchmark 75 over 800m went back from the wide gate and with a hot speed up front he was sure to get his chance. 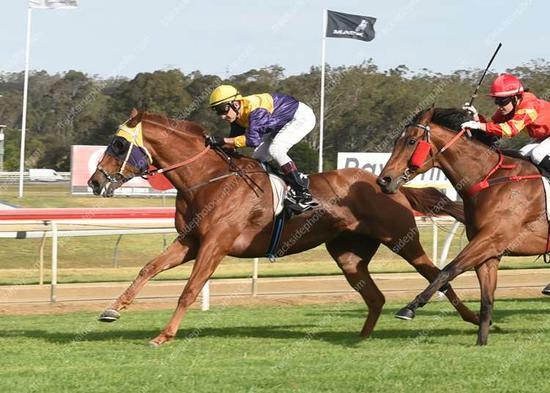 In form jockey Nathan Day settled him perfectly and rounding the home turn he got the splits and powered over the top of them to score a half a length victory. Congratulations to the owners involved.